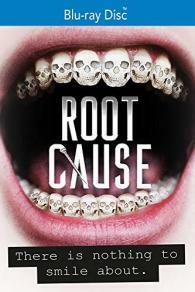 Root Cause is a feature length documentary based on one man’s extraordinary true story – a 10 year long journey to find the root cause of his panic attacks, anxiety, chronic fatigue, nausea, dizziness, agitation and insomnia. Interviews with expert health professionals from all over the world, provides incredible insight into how an infected root canal can affect other health functions of the body. Featuring leaders in their fields like Dr. Mercola, Dr. Dawn Ewing and Dr. Jerry Tennant; the wealth of knowledge from these experts is cutting edge. The narrative story that runs alongside the interviews is as action-packed as it is heart wrenching. It is an incredibly personal journey of a round-the-world search for answers that is one moment tear jerking, and laugh out loud funny the next. Root Cause is set to change the way the world looks at holistic health.